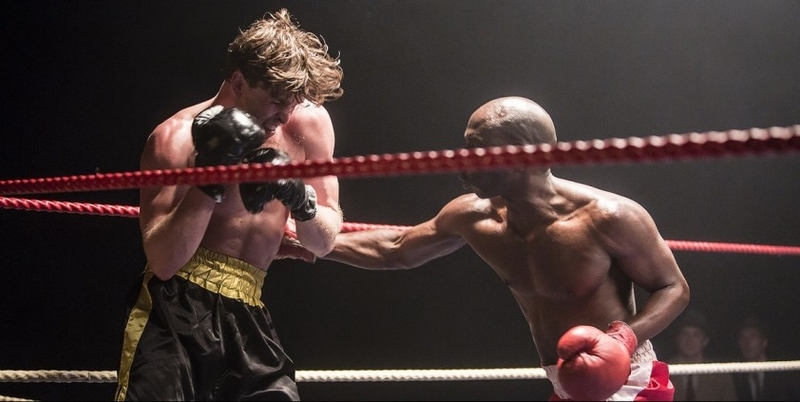 Father Brown (Mark Williams) drops into Chedworth Boxing Club and sees London gangster Dennis Nelson (Martin Kemp) set Jeb (Chris Gordon) up for a crack at the Southern Area Belt at Cheltenham Town Hall. As Dennis leaves, washed up fighter Roy (Nicholas Cass) begs him for a fight but all Dennis can offer is some door work. As the big fight approaches Roy angrily spars with Jeb and blood is drawn. Trainer Teddy (Bill Fellows) smells the whisky on Roy's breath and tells him he's finished at the club. At the Red Lion, Father Brown and Bunty (Emer Kenny) observe a bookie's runner collecting bets - there's plenty of money on Jeb to win. The next morning Father Brown and Teddy discover Roy's body at the bottom of the stairs at the boxing club. When the police find blood upstairs a murder inquiry is opened... with Jeb as the prime suspect.